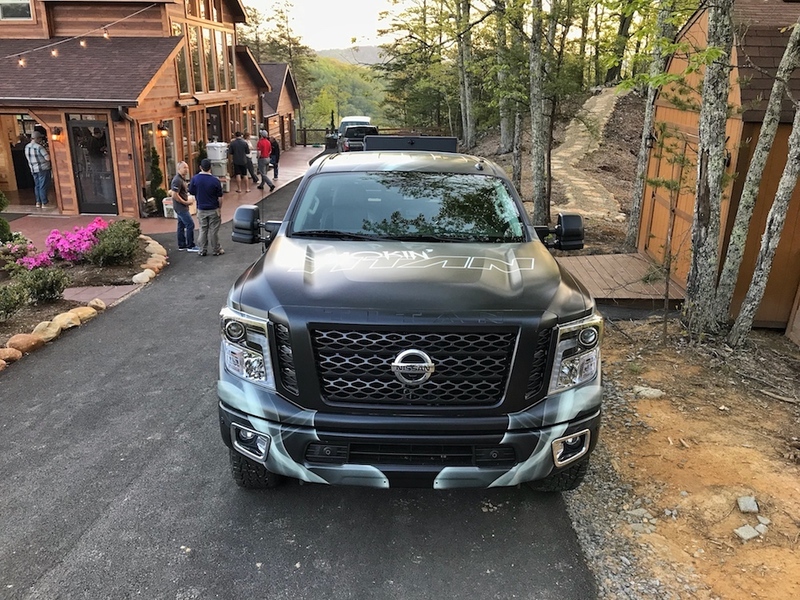 Surrounded by the might of the Great Smoky Mountains National Park, a duo of celebrity chefs brought the Nissan Smokin' Titan to life for the very first time since it was unveiled at the NTEA The Work Truck Show earlier this year. 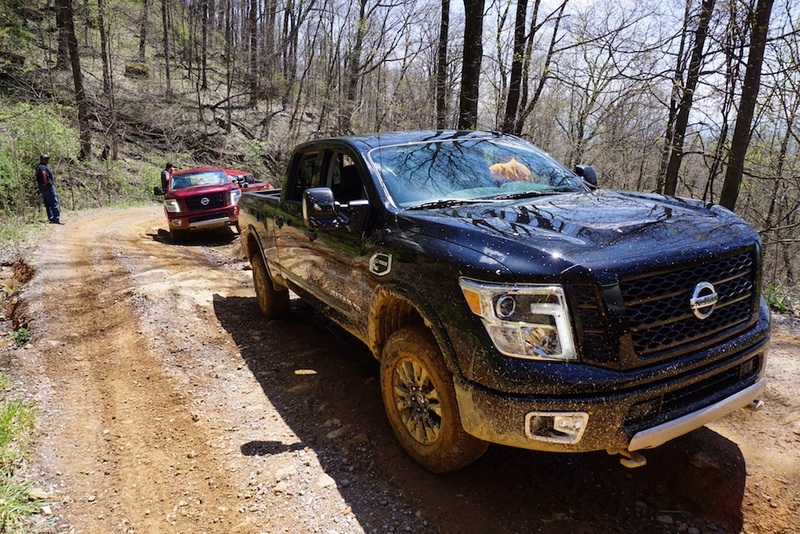 Nissan invited me to join them for the maiden firing of the Smokin' Titan in Moonshine country, where I was promised a mountainous off-roading experience, old-school country music, and more importantly, lots of succulent meats. 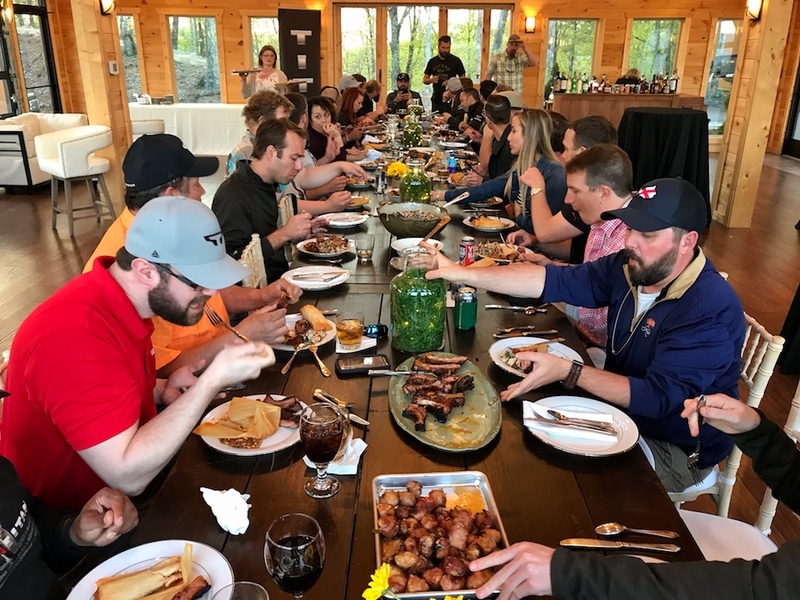 The one-of-a-kind experience would culminate with a cooking competition called the Titan Meat Up, which would pit select media outlets, employees from the Nissan Canton Assembly Plant, and company executives against each other. Much to my good fortune, I was there simply to eat. The Smokin' Titan started out in life as a Mississippi-built Nissan Titan XD King Cab, which was later heavily modified to become the world's first rolling meat smoker. The pièce de résistance is the bed of the Titan, which was removed and fitted to a trailer chassis in order to relocate the extreme source of heat away from the fuel tank. 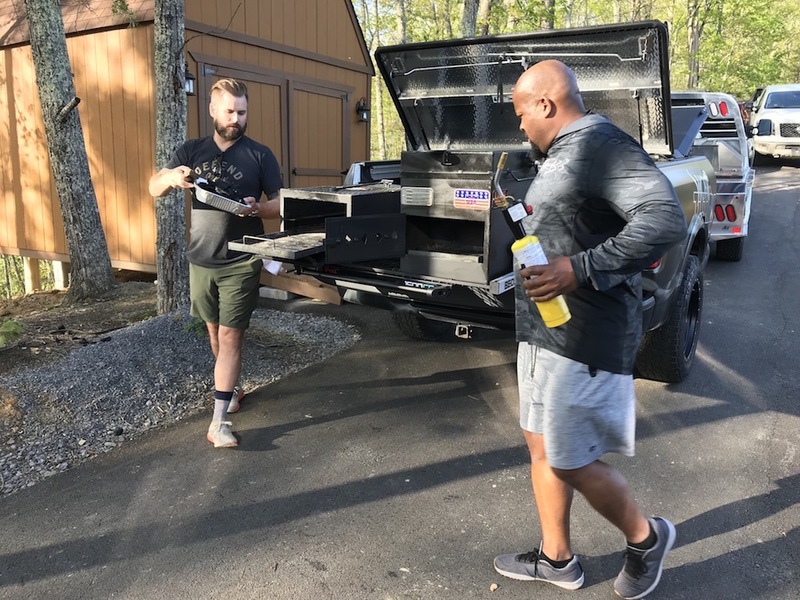 Replacing the original truck bed is a custom flatbed fitted with three cooking stations complete with stoves, cutting boards, and even the kitchen sink. 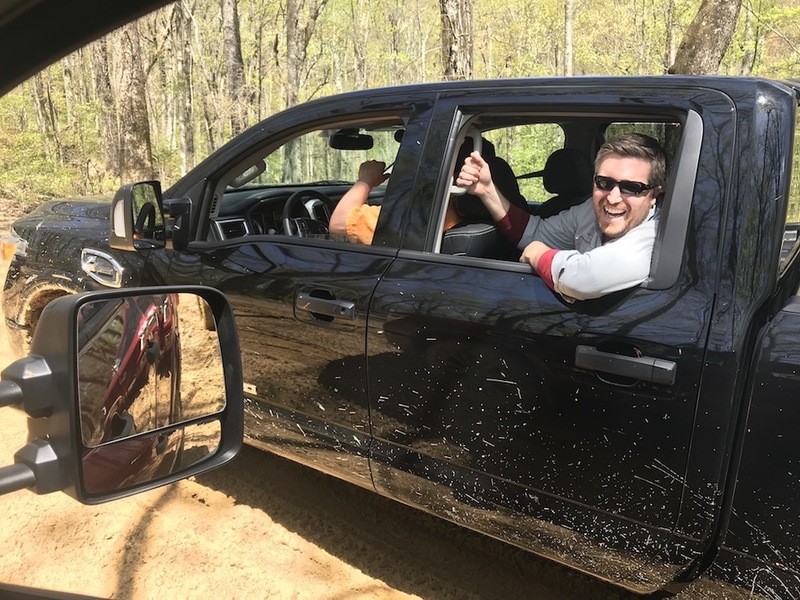 After a muddy and surprisingly treacherous off-road excursion at Windrock Park near Pigeon Forge, Tennessee at the wheel of a 2018 Nissan Titan Pro V8 Pro-4X, I drove to a remote mountain-top location where two Food-Network chefs awaited me with a "crap-load" of meat, as chef David Rose expertly described to me when I inquired about the massive amounts of protein. 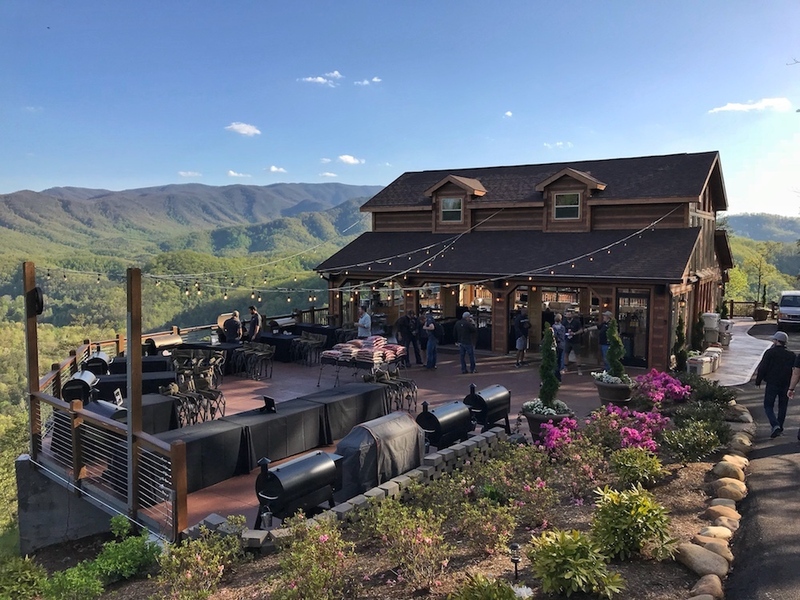 While the delicious food, upcoming cook-off, and breathtaking views played a large role during the first of two days in the Smokies, it was really all about the Smokin' Titan and the role it plays in truck and outdoor culture. "Think about how much truck and outdoor aficionados enjoy activities like tailgating and/or farm-to-table meals," said Brent Hagan, Senior Product Manager for Nissan Titan and Frontier. "With the Smokin' Titan you can take the truck out, you go hunting, you go fishing, and you come back and you bring it right back to the Titan and to the table." "The Titan is as American as apple pie, and it takes a tailgating or outdoor experience to the next level," Hagan added. Rose and his all-star counterpart, chef Cory Bahr, put on an incredible feast that consisted of succulent pork ribs, duck breast, beef-filled tamales and other dishes that I quite honestly don't know what they were, but they were incredible. Needless to say, the Smokin' Titan didn't just deliver, it excelled. Next up was the official cook-off, where the multiple cooking stations found on the back of the Titan would be put to good use in addition to individual meat smokers for each team to use. The Titan Meat Up is far from over, so make sure to check our social media channels to see who emerges meat-torious.